The nation of Hungary is actively battling against the Suicide of the West. 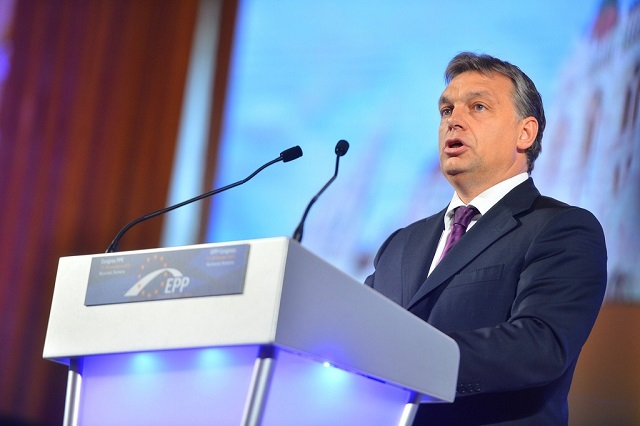 Hungary should be among the five best and most competitive countries of the European Union by 2030, a country in which "it is best to live and work", Prime Minister Viktor Orban told a plenary session of the Hungarian Diaspora Council in Budapest on Thursday. In the shorter term, Orban said, the "the culture of patriotism should be promoted and the culture of self-hatred suppressed". He said that by 2022, the country's competitiveness should be "tangibly improved", new "demographic incentives" should be launched and an independent Hungarian army developed. In terms of the military, Hungary "lags behind" other countries in the region, he said, insisting that "a country cannot be strong without an army capable of protecting it". By 2030, the country should also reverse negative demographic tendencies and diversify its energy supplies, the prime minister said. He insisted that Hungary should gradually remove its unilateral dependence on Russian energy. Hungary needs to build its internal capabilities and diversify access to foreign energy sources, Orban said. From that aspect, the upgrade of the Paks nuclear plant is key for Hungary's sovereignty, he added. [...]Meanwhile, the prime minister said he expected that Europe's institutions after next year's European Parliamentary elections would be "more strongly associated with the continent's traditional values and roots". After the elections in May, Europe's politics are likely to become "more nationalist, right-wing, and more Christian," Orban said. He said that hopefully the European Commission, "which now considers itself a political player, will resume its role as guardian of the [EU] basic treaty". Regarding Hungary-US ties, Orban said the US administration "does not consider its role is to decide what's in the Hungarian constitution".